There’s nothing handier than a ladder for home and garden maintenance, but where do you store it when you’re not using it? Ladders take a lot of room in garage. That’s why you need a ladder hook. 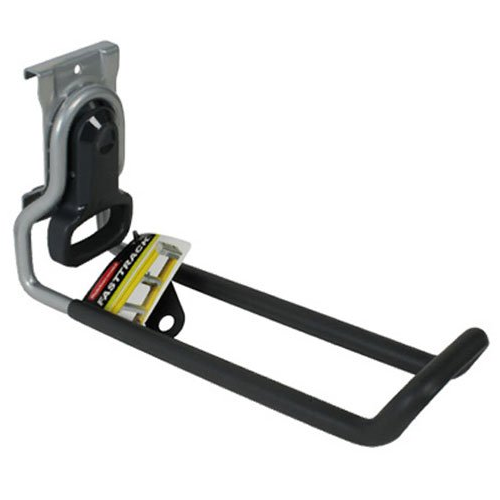 A must have for every shed or garage, ladder hook is a space saving way to store your ladder. Also great for holding your bicycle, tools, equipment and more. 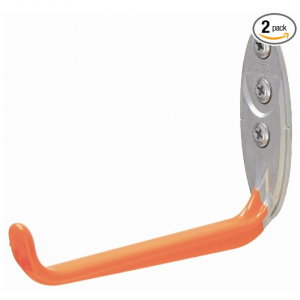 Keep your ladder off the floor with the Tornado L2000 Ladder Hook. 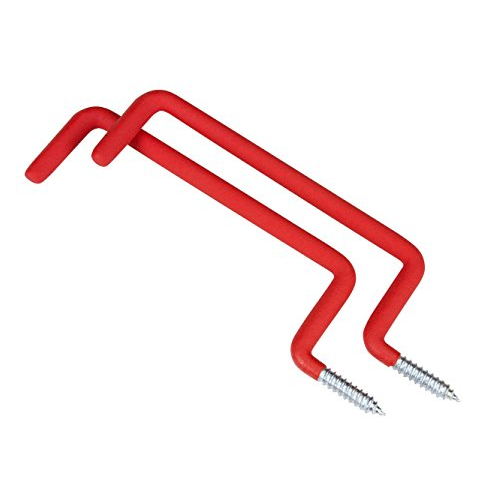 Featuring solid metal construction with no weld points, the hook mounts directly in drywall or into wood studs and is perfect for holding your step ladders, hoses, extension ladders, skis, lawn chairs, fishing poles, and tires. Set of 2. Holds up to 40-Pound per pair mounted in drywall and 70-Pound per pair in wood studs. Easy to install with no tools required. 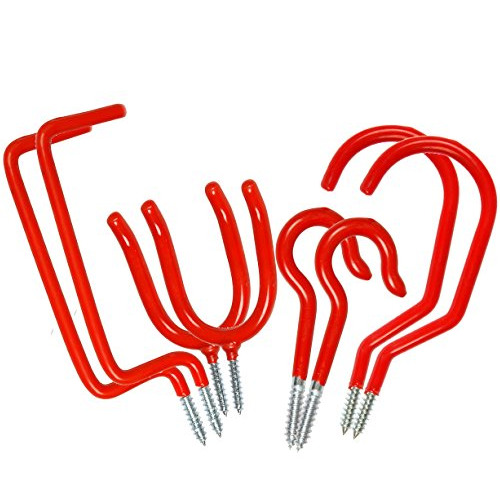 Finally, a sturdy and practical storage hook that is great for organizing heavy step ladders, lumber, sports equipment, leaf/snow blowers, patio umbrellas and many other items. The Lehigh HGSH Jumbo Arm Storage Hook contains non slip, no mar foam arms to keep items in place. It can mount anywhere indoors or out. Use for 12-Inch shelf brackets. Includes mounting hardware. 50-Pound weight capacity. If you are looking for a great wall storage solution for ladders, garden hoses, and recreational equipment, then you will be pleased with the TEKTON 7649 Heavy Duty Ladder Hooks. Constructed from heavy-duty galvanized steel with a soft non-marring, non-slip coated finish, these heavy duty ladder hooks are sturdy and easy to install. Each hook offers a 50 lb. Capacity and requires a 5/16 in. diameter pilot hole. Store your ladders vertically or horizontally with the Rubbermaid FastTrack Garage Storage System Ladder Hook. 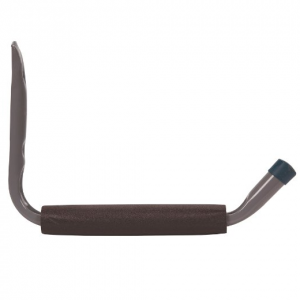 This ladder hook features soft grip coating to protect it from nicks and scratches. It mounts easily to wall studs or to the Rubbermaid FastTrack rail system (not included). 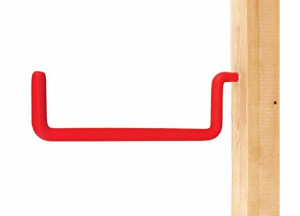 The hook holds up to 50 pounds and folds up against the wall when not in use. Can be mounted directly to a wall (hardware not included). Organize your garage with ease with the Dorman Hardware 8-pc. These storage hooks are constructed from galvanized steel with a soft non-marring, non-slip coated finish for durability. They are easy to install and perfect for ceiling storage of things that takes up a lot of room in your garage, such as bicycles, tools, garden hoses, lawn furniture and more. Includes two each of four different styles of hooks. Strong and sturdy.